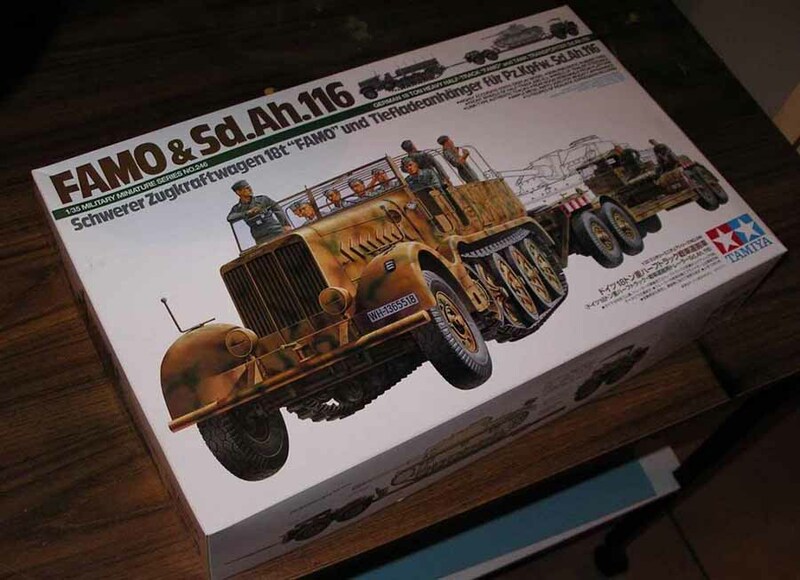 Here is a build I have been working on and off for the last couple of years and I am finally giving this all my attention to complete in 2014.The Famo and trailer is a rather well engineered model by Tamiya and it was a pleasure of a build. 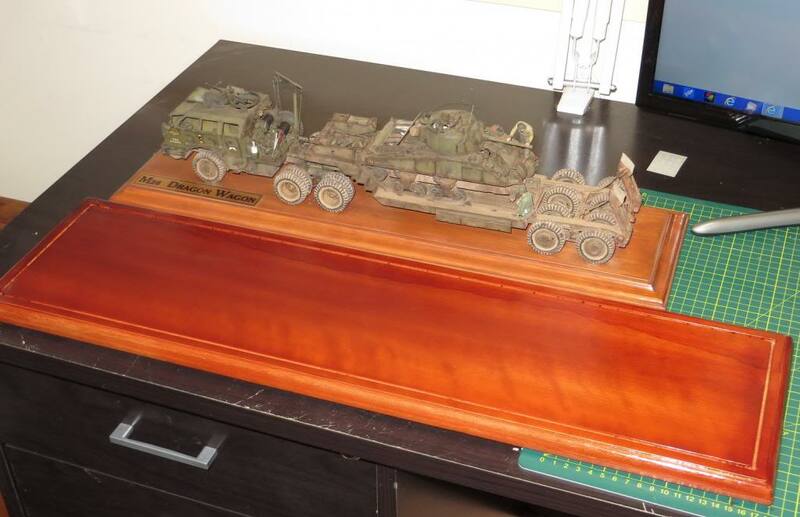 All items are built in sub sections for ease of painting. 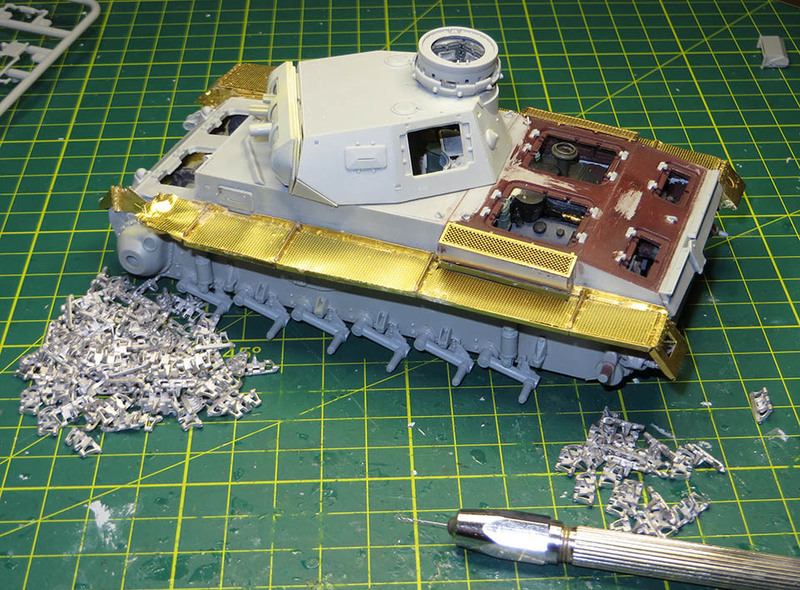 The real work begins with a near fully detailed Panzer 3 on the trailer. 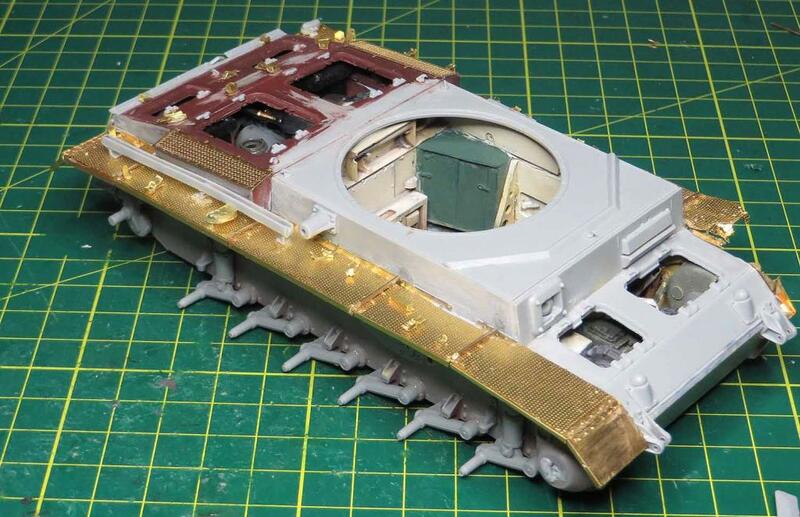 The VP engine and interior sets have been used to deck the recently released DML Panzer 3 F out. 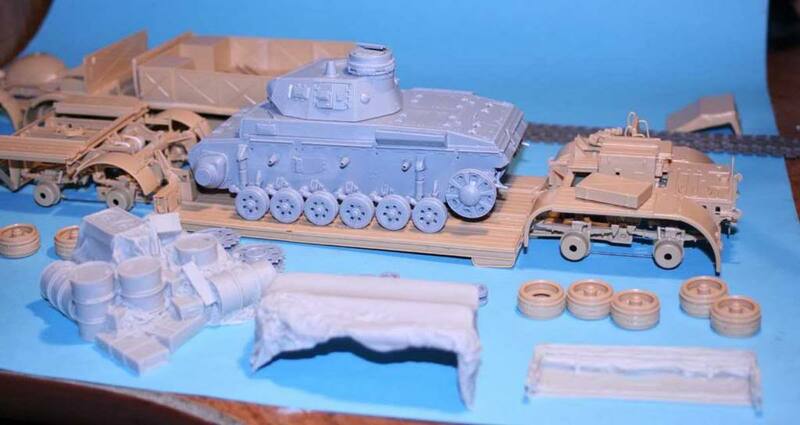 The panzer will have the turret and engine hatches open and I’m still undecided as which figures will be used to bring the models to life . 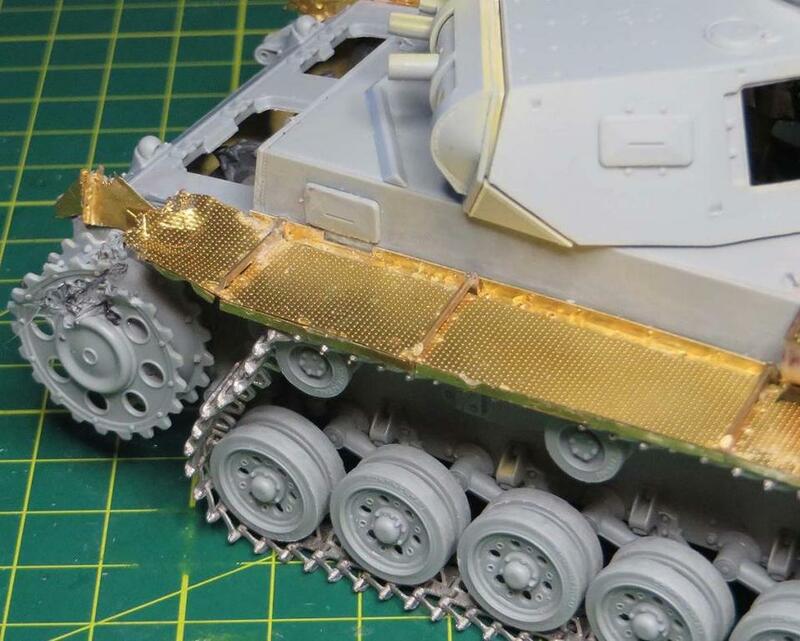 The Panzer 3 will have Voyager etch Fenders, Aber exterior etch ,Et model tool clamps and Fruil track. 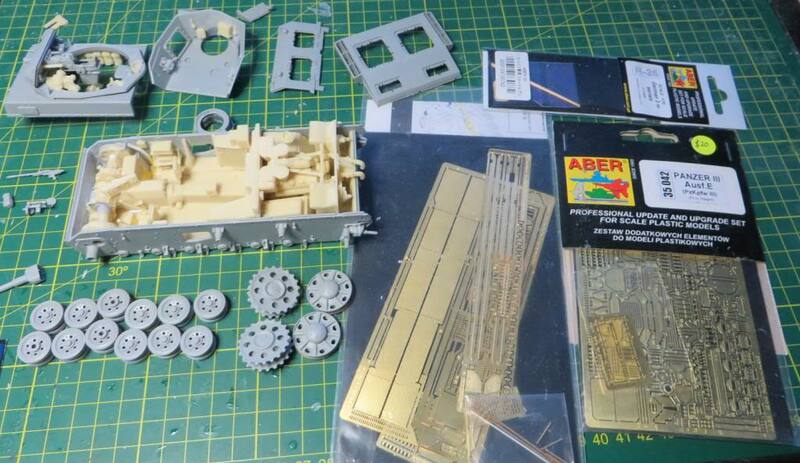 The famo and trailer will be built out of the box with minor inclusions of Archer decals for the instrument panel and etch vehicle width markers. Last edited by mike walsh; 07-10-2017 at 06:47 AM. That's quite an epic undertaken! 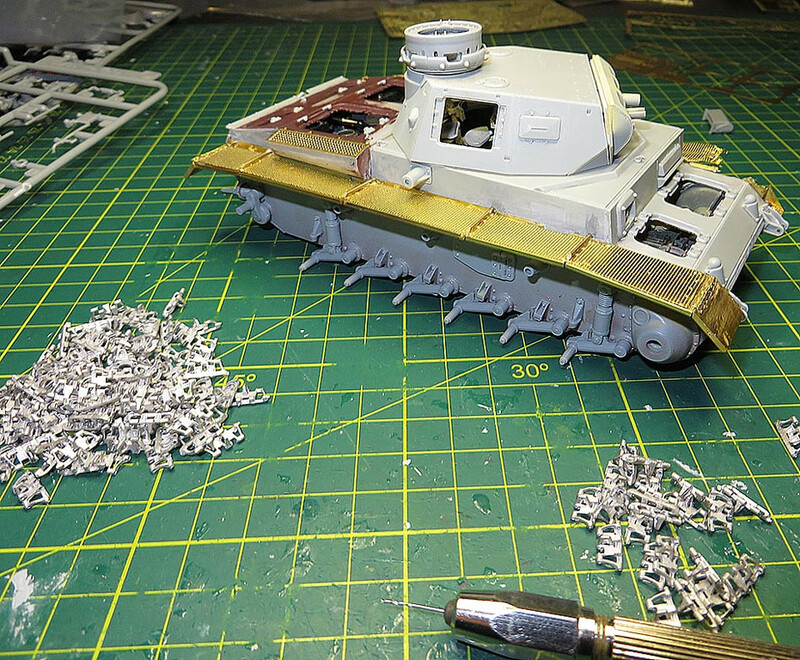 I really like all the interior work on the Pz III. In my opinion it seems the interior color is way too yellow. It should be more of an "off white" than a yellow. My first thought was the light was playing a part on it, but the driver's instrument panel seems to be the right shade. Did you use a color straight from the bottle or did you created a mix for it? I agree the interior colour could be toned down a little lighter. Once it's closed up it may not be as easy to see but still give an ivory appearance . I'm surprised you're not making the FAMO the star. 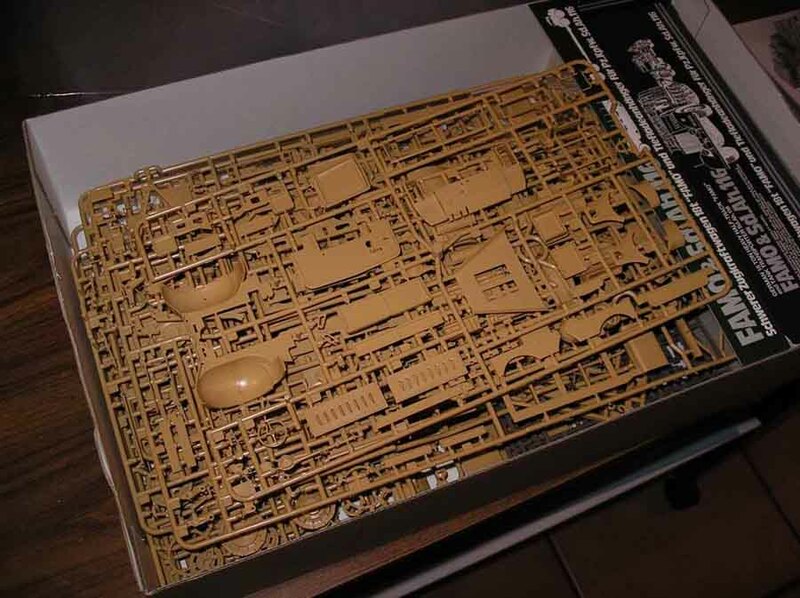 It's such a detailed kit. I won one at the Jacksonville tournament a few years back,and have been slowly collecting aftermarket for it. 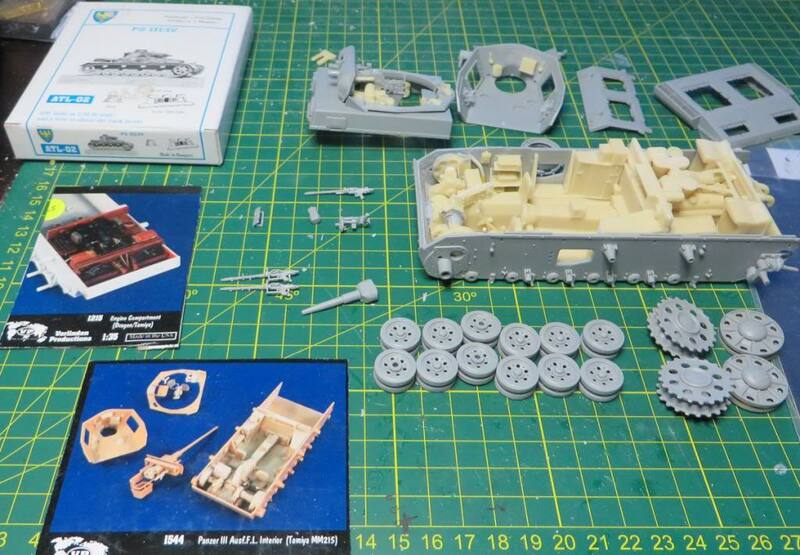 I was contemplating the PE for the Famo but it is such a nice kit out of the box I could not see much in the way of reproducing the kit components unlike the M26 Dragon Wagon. 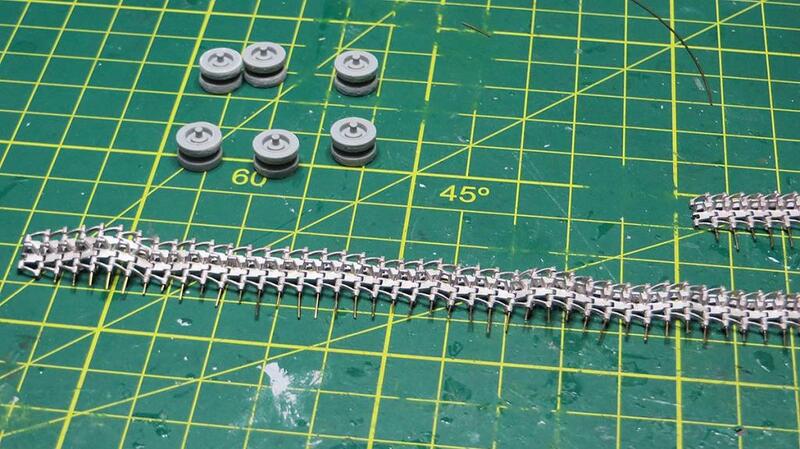 The 2 main areas ,vehicle width markers and the Archer transfers for the dash are main visual arrears for refinement . The vehicle may have the side engine covers off but I'm still undecided to dress up the engine bay. 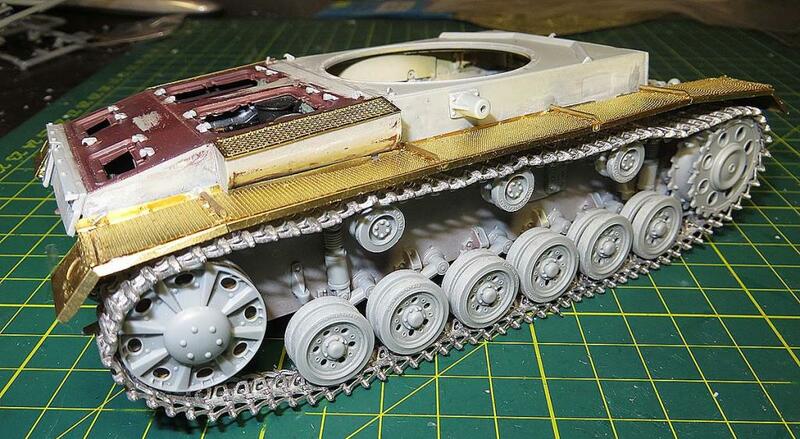 The hardest part of the whole project is the weathering side of the mammoth vehicle to venture into . Last edited by mike walsh; 07-10-2017 at 06:48 AM. 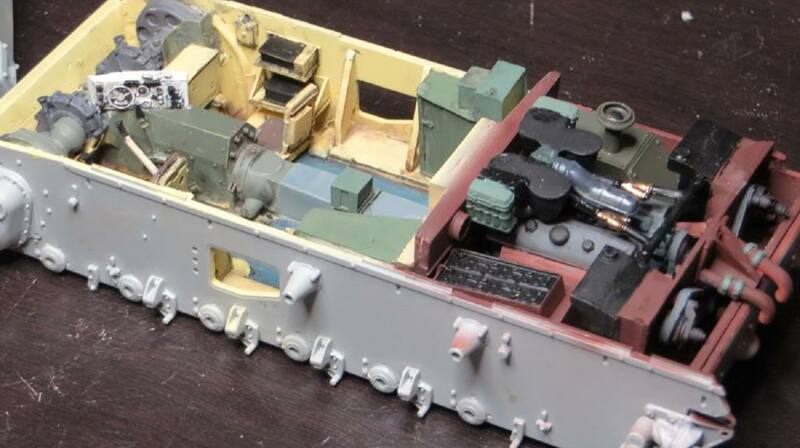 After having a rethink from David's suggestion about the colours I decided to redo the interior .This was the first time using the Mig Ammo paints and I found they are perfect to work with. A couple of drops of paint and 1-2 drops of thinner and the paint flowed perfectly. Look forward to using the german grey as the base .It is a new era as I have used enamels and life colour paint. Thanks Dave for your input. Last edited by mike walsh; 07-10-2017 at 06:50 AM. Last edited by mike walsh; 07-10-2017 at 06:51 AM. 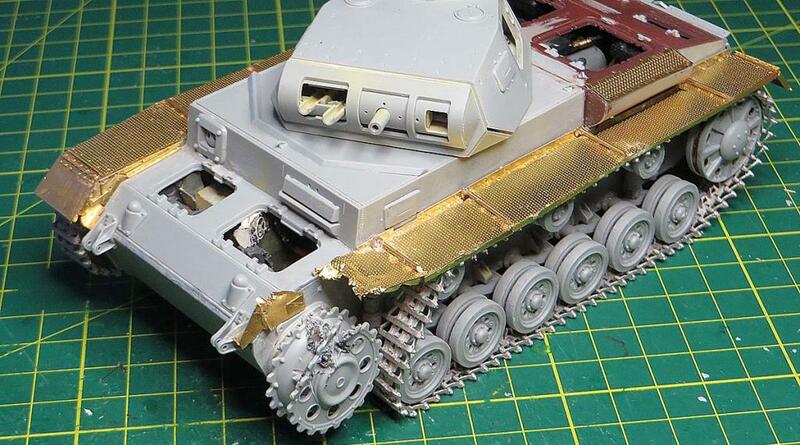 Really nice work on the Panzer III. I like the Elfenbein color, by the way. Does it spray well? It sprays better than with a paint brush . It's a shame you do not see all the colour but it's one of the smoothest flowing airbrush paints. Still have the left side to play with and will be a little different. The track will not go over the drive sprocket but shortened to run back over the return wheels. Last edited by mike walsh; 07-10-2017 at 06:52 AM.